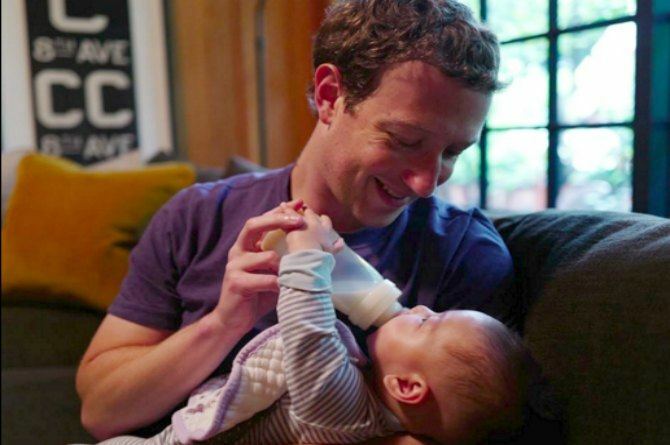 Most known for creating the most successful social networking platform in the world, 31-year-old Mark Zuckerberg is now bringing that same devotion and efficiency to parenting. He was recently in Berlin, Germany to accept an award from a German publisher, reports TODAY. In his speech, he touched upon complex topics such as data protection and the proliferation of ‘haters’ on facebook. But what drew ‘awwws’ from the crowd was his answer when asked whether he was good at changing diapers. This practice proved to be useful because he says he suddenly became better and better at it, speed-wise. His wife, Priscilla Chan, was in the room as he accomplished the ‘daddy duty’ feat and confirmed to TODAY that it was, indeed, true. It’s been quite the journey to fatherhood for the low-key billionaire as he revealed in an earlier interview that his wife, Priscilla, suffered three miscarriages prior to the birth of their first child, Max. In fact Mark has been quite involved in the feeding and nappy changing schedules of his daughter. He recently posted a pic feeding his daughter Max and said that it was his "most important meeting of the day"
Back in December 2015, Mark and Priscilla penned a powerfully touching letter to their firstborn which quickly went viral on social media. He finally returned to working at the Facebook offices after two months of parental leave. Shortly after Max was born, Mark revealed that he will be taking two months off, becoming the first male CEO of his position in the tech industry to make that choice. Max’s first swim. She loves it! These are just a few incidents that have impressed his many followers. He’s earned praise for giving his all to fatherhood as he has to founding his tech empire from Doyin Richards, a prominent “daddy” blogger. His latest post on facebook earned a million likes in less than a day. In it, he yet again set a great example to dads everywhere to make kids their top priority despite the many responsiblities their career entails.